We were taught to use it as a conditioner: Soak hibiscus leaves in water for about 15 minutes, and then squeeze out the gel in it to apply to the hair. Very true Mina,the paste of hibiscus leaves make fabulous natural conditioners!! 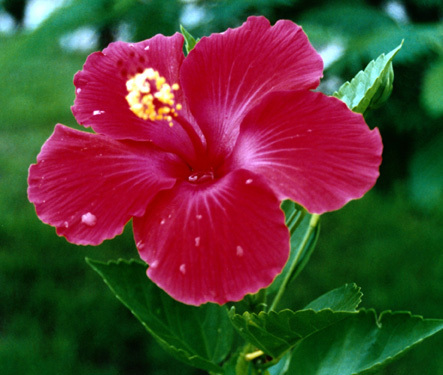 We actually use the dried hibiscus leaves in our herbal hair oil.